Deazie Gibson is an international group fitness instructor and personal trainer who has lived in New York City for the past 9 years. Deazie is well known for applying her Drive, Discipline and Determination which she refers to the D3 Lifestyle in every aspect of her life and truly believes that anyone can achieve and succeed with sincere focus. Whether it is participating in fitness videos for companies such as Gaiam, NFL, The Firm, Acacia and others or teaching group fitness classes from New York City to Istanbul, Turkey, or personal training and helping those less fortunate; Deazie excels above and beyond with her effervescent personality and athletic approach to fitness. She utilizes a broad range of methods via certifications to bring outstanding results to her group fitness and personal training clients. From CrossFit to Urban Rebounding, jump rope to yoga, Deazie's breadth of knowledge and expertise is unmatched and helped create her reputation as one of New York's truly elite fitness professionals. This has been exemplified by her being an award-winning fitness competitor from 2004-present with organizations such as Ms Fitness, National Physique Committee, and Fitness America Pageant. Deazie has also held the FAP regional Texas title and now the 2009 NPC Brooklyn Grand Prix Figure champion. Deazie works with major brands such as Nike, Gotham Global Fitness, Reebok, Women's Health, Soho House and Equinox. She has appeared on CW-11, NBC Today show, MNN, print ads (Fitness Magazine, Glamour, Natural Health) calendars, independent films, soap operas, theater, dance company performances. Deazie is not just a fitness professional, but she also has a love for the arts and fuses her two passions together. 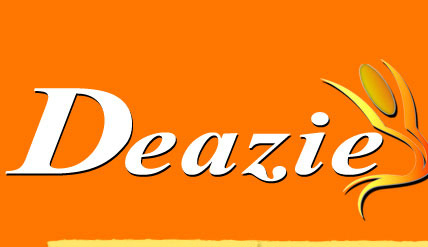 Deazie graduated college with a corporate communications degree from The University of Texas at Austin. She has used her degree to sincerely communicate the benefits of improving a person's overall performance through a D3 Lifestyle of fitness.